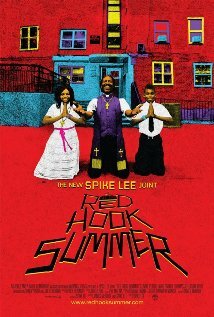 I’ve always found Spike Lee’s movies to be both entertaining and thought provoking, so of course I like them. And Red Hook Summer is no exception. The movie is about a young man who goes to visit his grandfather for the first time. Flick, the young man, is a vegan, who loves using his ipad to make videos. His grandfather is a preacher at one of the local small churches in Brooklyn. The movie explores the differences between the two, and how much the young man has to learn in life. And one of the lessons he has to learn is how people sometimes make huge mistakes in their lives and how people deal with it when others learn about their mistakes. I loved the way the movie looked with all the bright colors in an area you normally don’t associate with color. Movies shot in the city usually try to use darker tones. I also enjoyed the twist in the plot when the preacher’s secret is revealed to the community. This is a great movie for people who want to see what life in the inner city might be like. There is some violence, in the movie, so it probably isn’t a movie for children.